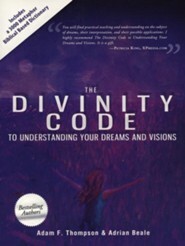 A Bible-based guide to dream interpretation that will help you find clarity in your supernatural communications with God! Featuring a dictionary of 3,000 metaphors, this comprehensive manual also discusses the purpose of visions; how to identify counterfeit interpretations by the occult; the importance of names and places; and more. Includes indexes. 675 pages, softcover from Destiny Image. Stop wondering what your dreams and visions meanand start living the meanings! With this set of Master keys, you can unlock the unseen realm! Led by the Holy Spirit, you can manifest Gods Kingdom on earth through Jesus Christ by knowing what your dreams and visions mean.  The most extensive Christian dream dictionary on the market (with Scripture support).  An important dictionary of names and places.  A critical chapter on counterfeit interpretations by the occult.  101 interpreted dreams providing credible evidence.  A fascinating metaphor dictionary. Embrace your supernatural communications with God and go deeper into the things of the Spirittoday! 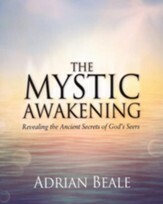 Adrian Beale is an admired prophetic teacher with a consistent ability to open Gods Word and bring supernatural revelation with impartation. He has more than 18 years of pastoral experience. Adam F. Thompsons well-known prophetic ministry operates in signs and wonders. He was instrumental in planting the Field of Dreams church in South Australia. "This is BY FAR the most thorough and exhaustive manual on dreams, visions, symbolism, and dream interpretaion that we have seen. We consider it a mandatory tool in our personal reference library. This is a must-have for every believer who wants to go farther and deeper into the seer realm,"
"If you desire to dream or increase in your ability to interpret and apply them, I highly recommend The Divinity Code to Understanding Your Dreams and Visions . It is a reference book that you will want to keep in your study or library. It is a gift. So dream on dreamer and may you discover the voice of the Lord and the seer dimension in clearer ways than ever before." 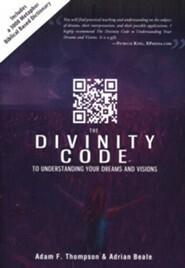 I'm the author/artist and I want to review The Divinity Code: To Understanding Your Dreams and Visions.